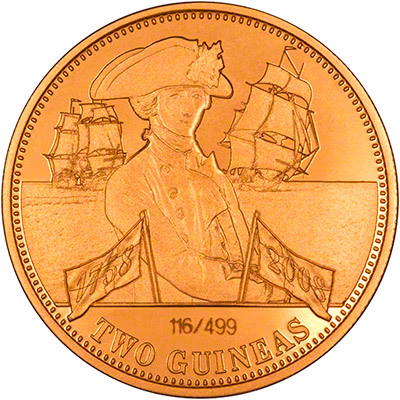 This set commemorating the 250th anniversary of Admiral Lord Nelson birth contains a collection of differently sized Guineas. 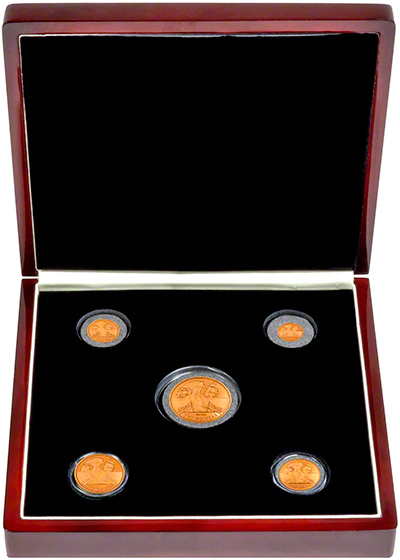 The coins come in an attractive Rosewood effect box with cushioned interior. They also come with certificates issued by the London Mint Office containing information about the history of both Admiral Lord Nelson and the Guinea. This set is an issue from the London mint office. It contains certificates for each of the coins, however, please be aware that these are certificates produced by the London Mint Office. The information on them is correct but it is not an official certificate of authenticity. We have aquired this set from the secondary market, so when reselling we will include the certificates that it came with. Having said this, we are not associated with the London Mint Office in any terms. We believe the products they sell are genuine but we do not agree with the massive premiums they charge their customers, just because they have put the coins in a fancy box and printed their own 'certificates'.